A luxury stay in Nusa Dua awaits you at Scene Estate, a recipient of the prestigious Conde Nast Top 100 List award in 2014. You'll be 2.7 km (1.7 mi) from Tanjung Benoa and 3.8 km (2.4 mi) from Bali Nusa Dua Convention Centre. Highlights at this family-friendly property include 5 restaurants, and in-room kitchens and private pools. All 3 individually furnished villas feature LED TVs with satellite channels, and you can enjoy private spa tubs, free WiFi, and free wired Internet. Kitchens come equipped with refrigerators, stovetops, and dishwashers, and room service is also available. Premium linens welcome you to a good night's rest, and other nice touches include rainfall showerheads and bathrobes. Additionally, balconies, sofa beds, and living rooms are available. Scene Estate features an outdoor pool and a children's pool. Dining is available at one of the villa's 5 restaurants. The property also offers a grocery/convenience store. Each day guests can enjoy a complimentary manager's reception. Public areas are equipped with complimentary wired and wireless Internet access. 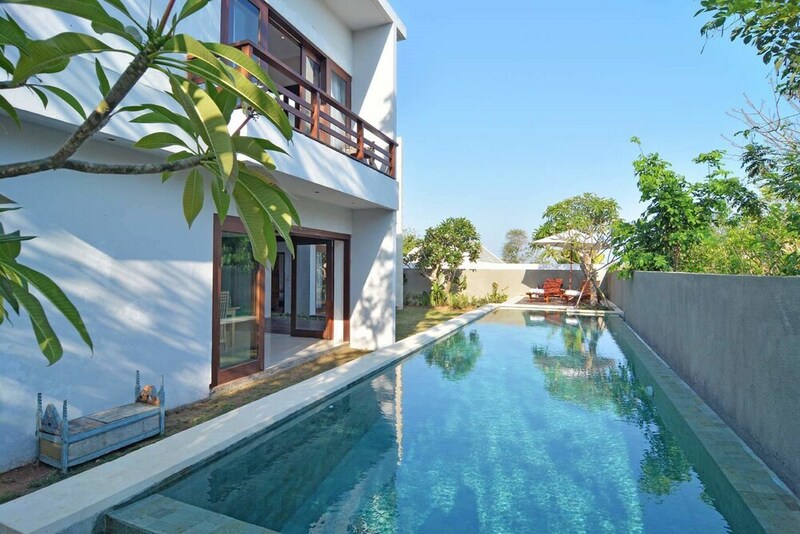 This Art Deco villa also offers a terrace, tour/ticket assistance, and multilingual staff. A roundtrip airport shuttle is complimentary to guests (available 24 hours). Onsite self parking is complimentary. Scene Estate is a smoke-free property. Scene Estate has 5 restaurants on site. Rollaway/extra beds are available for USD 150000 per night. This property offers transfers from the airport. Guests must contact the property with arrival details before travel, using the contact information on the booking confirmation. Only registered guests are allowed in the guestrooms. Scene Estate is listed in the 2014 Condé Nast Traveler Top 100 List.